The opening of doors will be at 10am and it will close after the last competition, between 8pm and 8:30pm. In the Facebook channel of imaginExtreme Barcelona, ​​5 endings will be broadcasted on Saturday and 5 more on Sunday, and then on the TV sports channel Esports3 from 9:00p.m. until 11:45 p.m. When there are only days left for the start of the new edition of imaginExtreme Barcelona, ​​we compile all the important information that you should not forget. 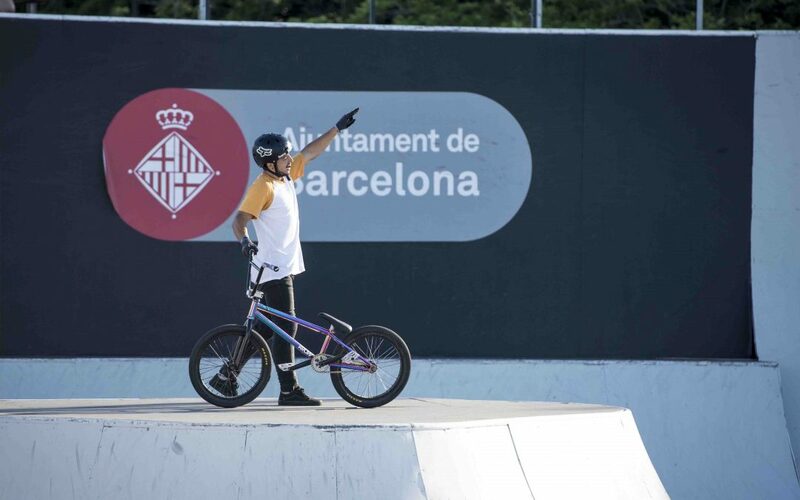 The imaginExtreme Barcelona enclosure in the Parc del Fòrum will open Saturday and Sunday at 10 a.m. and will close after the last competition, Saturday at 8p.m. and Sunday at 8:30p.m. You can buy tickets on festival days directly at the ticket office if you have not been able to buy them before. The hours of sale at the ticket office will be Friday from 10:30am to 6:00pm, Saturday from 10:00am to 6:00pm and Sunday from 10:00am to 5:30pm. The prices will be slightly more expensive than in advance sale, €15 general admission for a day and €25 for both. Are you ready for the imaginExtreme Barcelona? We would like to remind you that you cannot enter the Parc del Fòrum site with metal, glass or ceramic drink or food containers of any kind for safety reasons. In addition, the entrance of plastic containers exceeding 500 millilitres is not allowed either and if it is less the cap will be removed at the entrance. These rules must be complied in all sporting events in Catalonia and, in case you need more information, it is included in Royal Decree 203/2010, which approves the Regulation for the prevention of violence, racism, xenophobia and intolerance in the sport. In addition, we also want to remember that, despite having some shadow spaces in the enclosure, the assistants will be in the sun most of the day. According to weather forecasts the weekend will be mainly sunny and hot. Therefore, we recommend that you come equipped with a hat and sun protection. Where can I see the endings if I cannot go? If you still have not been able to see them in streaming, the Esport3 channel will also broadcast them on Saturday and Sunday between 9:00p.m. and 11:45p.m. Tickets for the 10th anniversary of imaginExtreme Barcelona can be purchased in advance from the web www.imaginextremebarcelona.com, with popular prices from €12, 50% discounts for children, promotions for families and groups of friends. If you are an imaginBank or imaginer customer, you can still benefit from more promotions and unique activities. If you enter your imaginBank card number when you buy your ticket, you will get a 40% discount and you will enter a draw for an Honor 10 mobile phone. In addition, you can get one of the 500 free tickets offered by imaginCafé and registering as an imaginer or by entering your username and password. Finally, if you are a photography lover you can be one of the 20 lucky ones to do a masterclass with Miguel Triano and Pol Aceña by registering on the imaginCafé website. You can also combine the imaginExtreme Barcelona and the OFF At Forum. This 2018 also offers the COMBO pack, where you can buy a weekend ticket for the imaginExtreme Barcelona, ​​an entry for Saturday’s party at OFF At Forum and exclusive Northweek glasses. This COMBO is also available in VIP ticket version.